Co-Ax manufactures direct solenoid and air-piloted coaxial control valves for aggressive fluid and gas flow control applications, including coolant systems. Co-Ax is headquartered in Forchtenberg , Germany and was founded in 1960. US operations are based in Penndel, Pennsylvania, near Philadelphia. 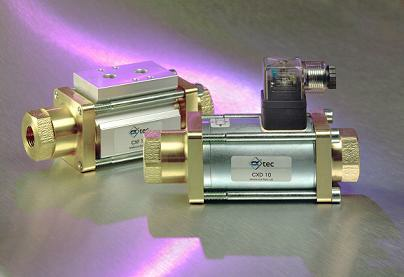 The CxTec valve has the same performance of the Co-Ax valve line at a reduced price.